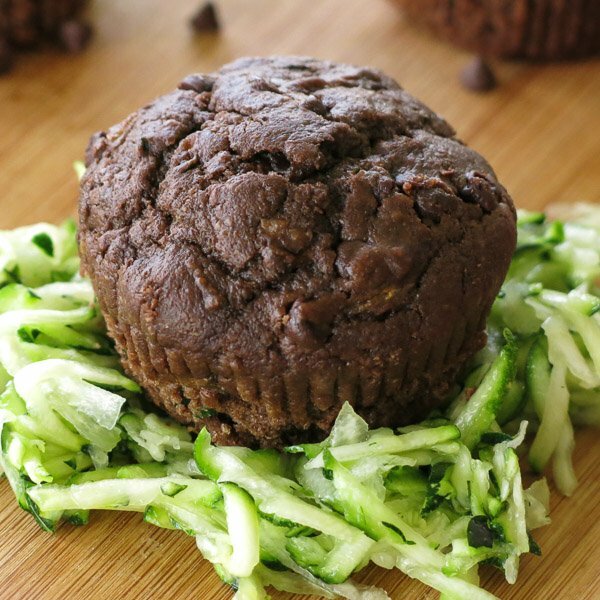 Death by Chocolate Zucchini Muffins are decadent and just happen to be healthy and vegan too! We’ll show you why you should thoroughly enjoy this recipe…guilt-free! It’s a variation of the ever popular Healthy Zucchini Muffins, except that a double dose of chocolate is involved and we used olive oil instead of yogurt for my dd who is vegan! And although it is technically a variation of a muffin, you could definitely frost it and call it a cupcake. Or, make it into a bread loaf. Who doesn’t enjoy chocolate bread? Call them what you will…these muffins are delicious and healthy! And, as I have said many, many time before…you just can’t tell there are any zucchini shreds in this baked good. You can’t. No sir. No way, no how. It’s a pretty bold statement. But, there are a few ways to up the healthy factor in this zucchini bread. Not only does adding a vegetable up the nutritional value of the muffin, but it adds a lot of moisture too! 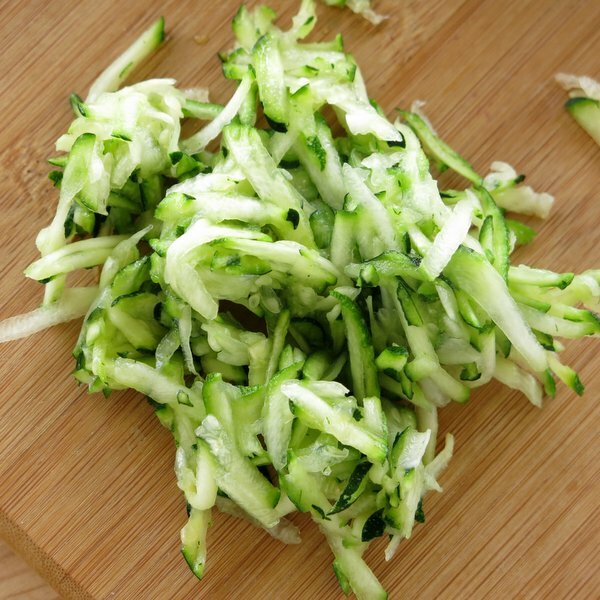 One medium zucchini yields about one cup of shreds. But, measure it out because I’m not exactly sure that my definition of a medium zucchini will match up with yours! There is no need to sop up any of the extra moisture unless you grated the zucchini in advance and it is super soggy. Sometimes we make our own blend of whole wheat flour and unbleached all-purpose flour, as is the case with Whole Wheat Pumpkin Muffins. Lately, we’ve switched to whole wheat pastry flour in all of our baked goods and no one is the wiser. Whole wheat pastry flour has a lower protein content than 100% whole wheat flour. However, it substitutes one for one in a recipe calling for all-purpose flour and the baked good is tender and tasty. Of course any chocolate ups the decadence factor. 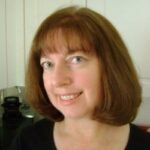 We used dark chocolate cocoa powder and dark chocolate chips for more antioxidants. I’m a fan of mini chips because they seem to more evenly distribute so as to have some in each bite. I’m thinking a little dark chocolate ganache might be in order on the next batch. It’s not just for sauteing! We’ve been using the extra virgin variety more and more instead of canola oil. Our Healthy Banana Muffins use yogurt, and that is an option here too! I hope that I have made my case! 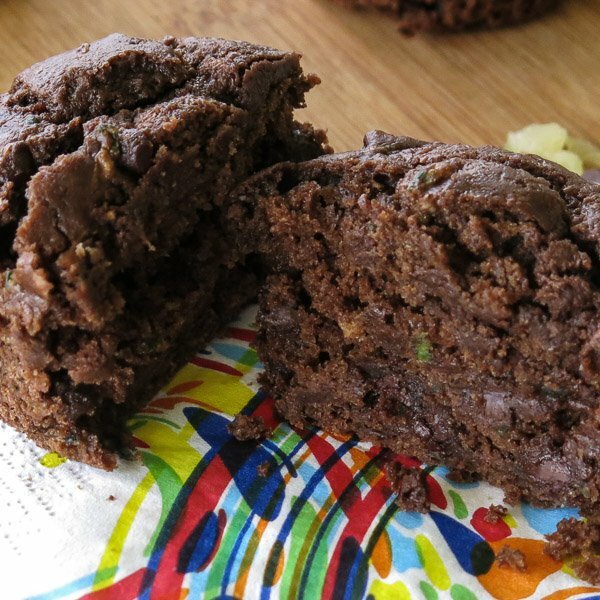 Go ahead and enjoy these Death by Chocolate Zucchini Muffins…Guilt-free! Decadent yes! 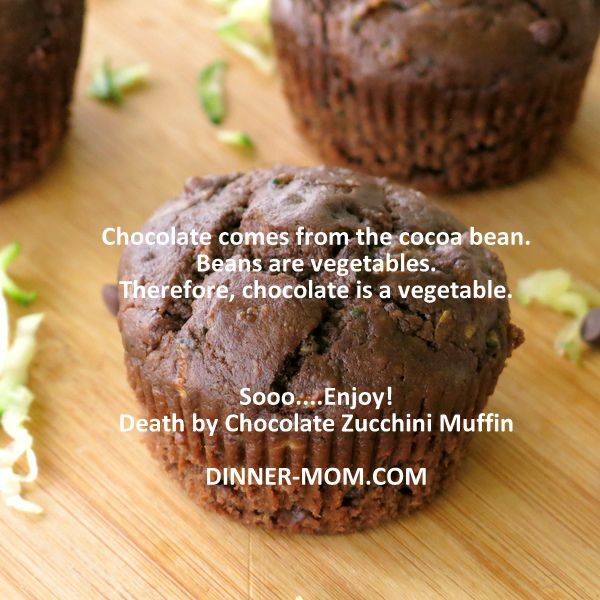 But, these Death by Chocolate Zucchini Muffins are Healthy too! Make them and see what all the fuss is about. Combine flour, Stevia sugar blend, baking powder, baking soda, salt, cinnamon and cocoa powder in a bowl. Stir egg replacer (or egg), milk and oil into the dry mix. The batter will be stiff. Add the zucchini shreds and stir to combine. As the zucchini is incorporated the batter will become softer, but will still be on the thick side. Bake for 20-25 minute or until the muffins are firm. Allow muffins to cool for 5 minutes in pan and then remove to a wire rack to cool further. To replace one egg combine 1 teaspoon baking powder, 1 Tablespoon vinegar and 1 Tablespoon water. Pin it to your zucchini board! I like the sound of this, especially the addition of choc chips – they make everything better!! Me too! And, thank you! Yum! 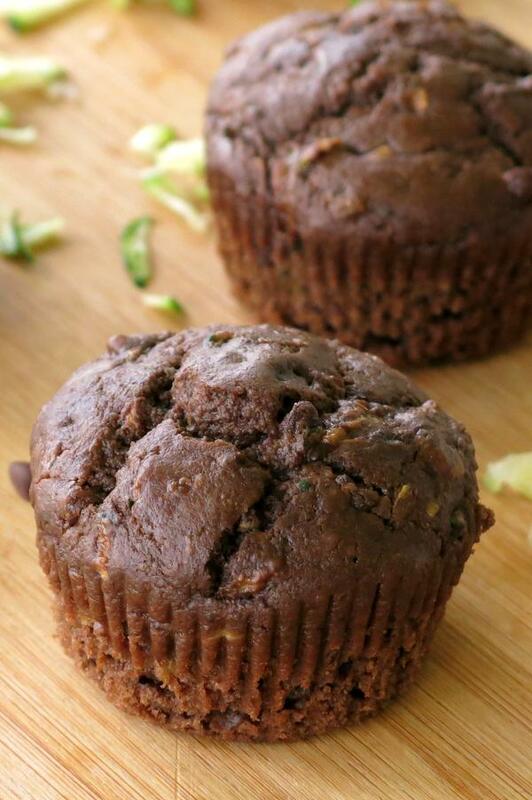 I love the moisture the zucchini adds to these muffins. Such a great use for the veggie and an excuse to eat chocolate! LOL! Exactly what I was thinking…a good excuse to enjoy these muffins! I like your logic with “chocolate is a vegetable” and I’ll take two muffins, please! 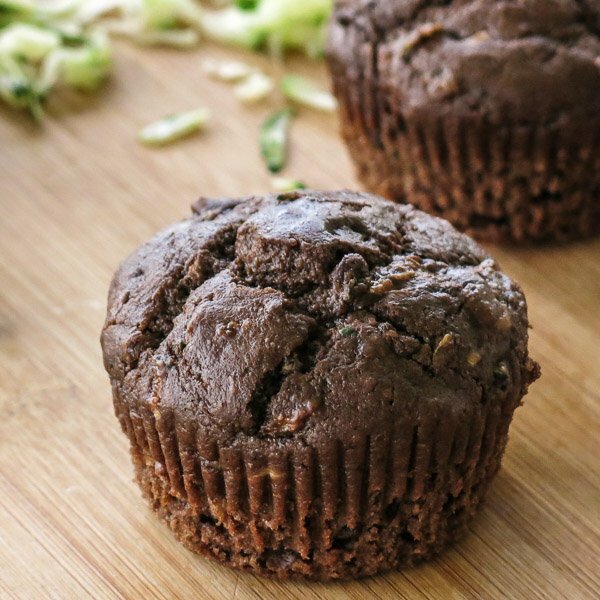 Oh wow, I make a Death by Chocolate Zucchini Bread which I love, so I know I’d flip for these muffins, I love the shot of the muffin on the bed of grated zucchini! I was wondering if anyone has used coconut oil with this recipe? Thanks. I have not made these with coconut oil, but it should work. Substitute melted coconut oil in equal amounts to olive oil. Canola oil will also work. I made with coconut oil and they were awesome! I also used a mix of carrot and zucchini.